Mix engineer Tommaso Colliva on recording Drones : "Pedal–wise there was a lot going on, but there are a few pedals that get used a lot, like the ZVex Fuzz Factory, the ZVex Super Hard On, which gives a nice clean boost so it distorts the amplifier, the Super Duper, and the Machsonic Thrust Drive pedal, which is made by someone in Turkey, and which we used with the Ampeg head for a very scooped–out fuzz sound, the JHS Colour Box, which mimics the sound of the Neve 1073, and a Roland SDD 3000 pedal." 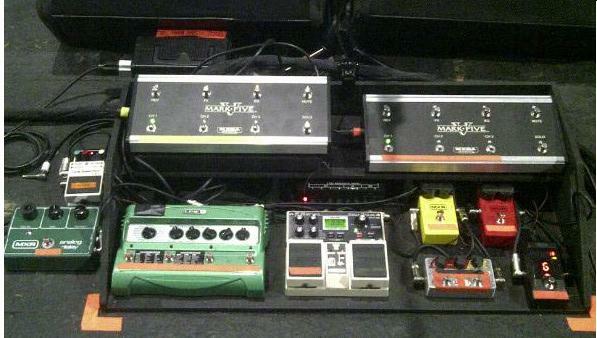 The ZVex Super Duper 2-in-1 pedal can be seen in Sam Halliday's pedal board. In this Tweet from Noel Gallagher, we can see the ZVex Vexter Series VSD Super Duper pedal in the left portion of his pedalboard (post is from March 2015). According to Ben Gibbard, the Death Cab for Cutie guitar player uses a ZVEX Super Duper 2-in-1 Boost Pedal in his live rig. "This is such a great pedal, I recommend one to any guitar player," Gibbard said at (16:00). 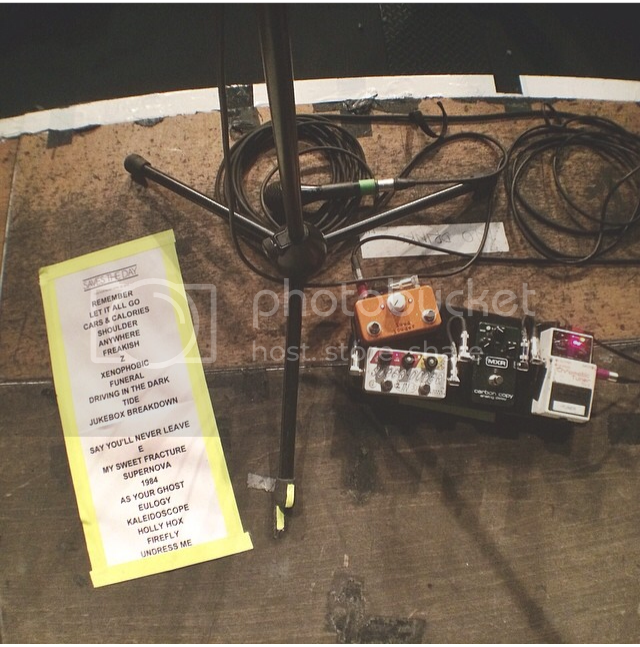 The ZVex Super Duper 2-in-1 can be seen in this picture of Taylor York's pedalboard, taken from Parahoy! in March 2014. According to Tone Freak's website, Toro uses the ZVex Super Duper boost pedal. In this Instragram photo from Oct 2015, Jessica gives fans a shot of her current pedalboard. The ZVex Super Duper 2 in 1 pedal can be seen in the lower right. The ZVex Super Duper 2-in-1 boost pedal was the last pedal in Cain's signal path according to his GuitarGeek interview. Luke has what looks to be an older vintage model of the ZVex Super Duper pedal. At 20:22 Luke mentions that he uses this for a clean channel. In this Twitter photo, a ZVex Vexter Series VSD Super Duper pedal can be seen on Justin York's pedalboard. Jean-Paul Fung, the band's producer for the "In a Million Years" album, talks about this pedal in an interview: > Before we started the album we made a list > of pedals that we would want, and ended up > acquiring a ZVex Super Duper, Boss RV5 and > DD7. And I bought a ZVex Woolly Mammoth.